OTG stands for “On the go”. If your android device is USB OTG capable then you can connect the USB drives with your phone. Nexus 5 come with the OTG support. 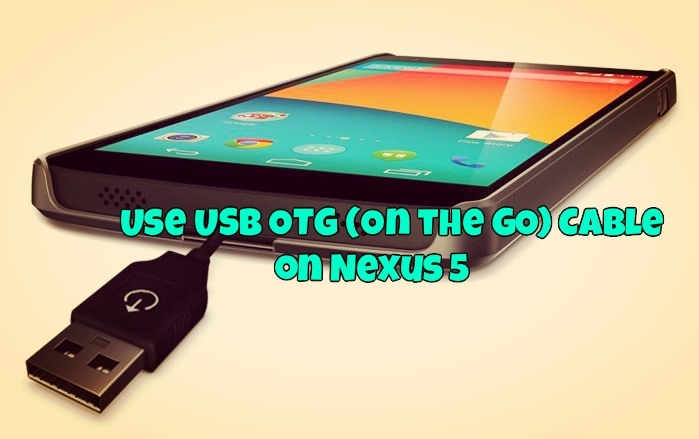 With the help of OTG you can connect keyboard, mouse,m usb rives etc with your nexus 5 smartphone. 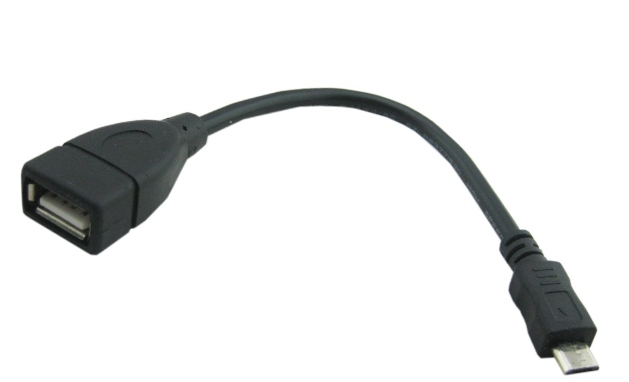 all you need a Nexus 5 OTG cable, which you can bought form any of the online electronic store like ebay, amazon etc. Most of hr android device some with the USB OTG support, if you don’t have any idea that your device has the capability of acting as an OTG host, you can check it easily by downloading a free app from the Play Store called USB Host Diagnostics. Today in this guide we’ll show you how to use USB OTG cable on the Nexus 5 or any other supported devices. 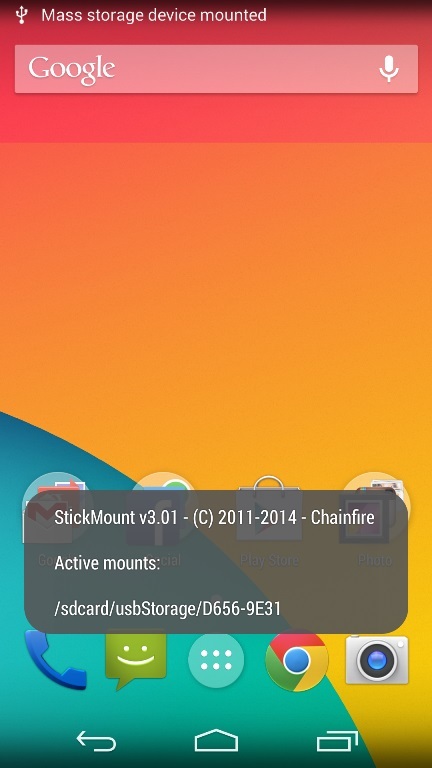 To do this all you need a rooted device and a free application called Stickmount (root). As we mention above to use the cable you need a rooted device, if you have the rooted device then you need a OTG cable, you can easily grab one for a few bucks at a few online portals. Now connect the storage devices such as a USB flash drive or a hard drive with the cable. To connect the storage drive on your phone you need a free application called Stickmount (root). Install the application on your device and connect the cable with your device. Now the USB drive is successfully connected with he Nexus 5 , to browse the file of the drive open any file browser on your phone and go to the Folder USB storage on Your SdCard. Here you will see all your derive files on your phone. With the same way you can connect keyboard and mouse with your android smartphone. Does the Nexus 4 support USB OTG?